What if cryptocurrency exchanges and their data were fraudulent? I’ve often wondered why traditional financial services and Wall Street were so concerned with the lack of regulation in crypto. I was tempted to see the centralized banking and financial establishment as the “enemy” of innovation, decentralization and crypto. I thought maybe they saw public blockchains as a threat to how their version of capitalism operates and drives the valuation of companies and assets under their control, in their domain and on their terms. However as Bitcoin’s volatility rose from a minority pre 2015 to a hype “get rich” story of 2017 and into 2018 that went a bit mainstream, it was clear to me Bitcoin’s price was and is, incredibly manipulated. It seems this “Bitcoin World” also has its own terms, norms and what’s considered normal might not actually be accurate. Bitcoin’s price was clearly manipulated and vulnerable to pump-and-dump schemes, multiplied also by how ICOs work and by how airdrops incentivize certain kinds of behavior. The more I looked at this kind of ritualized behavior, the more fraudulent the act of turning people into bots seemed. But that was just the beginning of the revelation. The positive social network effect had grave consequences to a sort of collective fraud taking place. I like to be open to both sides of the coin, both sides of the fence and consider anything is possible. I’m happy to write a piece that’s a devil advocate piece, far from the spectrum of my true moral or intellectual position. As sentiment has changed with regards to how ICOs work, and how vulnerable investors have been to fraud in various forms with a foundational technological like blockchain, which is supposed to be about augmenting trust, security and reliability — the aura of Bitcoin’s cool-factor definately starting to take a hit among the public. While it’s the financial services industry responsibility to reduce risk for investors, the media’s approach to cryptocurrency has been either exceedingly negative to overly bullish and positive, basically all over the map. While the crypto media publishing industry is clearly corrupt, so too is the negativity of the traditional financial media negative on purpose to create a clickbait aura around Bitcoin for engagement purposes and reduce mainstream trust in cryptocurrencies and things like decentralization. In a sense, I disagree with both extremes. It’s hard to find any sense of objectivity for this reason, as the bias and slants are exceptionally loaded depending upon the source. However, I also think it’s important that we be open to evidence that might show how these new systems could be fraudulent and what that might mean for how we manufacture hype in an era of existential innovation that always seeks to re-create the wheel, in this case the value, money, transactions, digital assets and investment communities on the blockchain. According to a study by Bitwise, Ninety-five percent of spot bitcoin trading volume is faked by unregulated exchanges. People looked at cryptocurrency and said this market is a mess; that’s because they were looking at data that was manipulated. What if the Bitcoin hype was manufactured in ways that made you feel Bitcoin and crypto was bigger than it actually was? This raises new concerns over the potential for abuse of the manipulation of the price of Bitcoin, which the entire cryptocurrency market cap is tethered to historically and especially during the last 3 years. Bitwise reported its data in March, 2019 and claims to the United States Securities and Exchange Commission (SEC) as part of a proposed rule change for its application to launch a Bitcoin (BTC) Exchange Traded Fund (ETF). Bitwise Asset Management is a cryptocurrency index fund provider and its accusation is pretty serious. You can read the report here. The analysis showed that “substantially all of the volume” reported on 71 out of the 81 exchanges was wash trading, a term that describes a person simultaneously selling and buying the same stock, or bitcoin in this case, to create the appearance of activity in the market. In other words, it’s not real. If Cryptocurrency markets weren’t reporting actual trading data to look bigger than they are, clearly the value of cryptocurrency’s own market cap as you might find on coinmarketcap isn’t real either. Most of us I think intuitively sort of guessed that, even someone like Vitalik Buterin is only worth in the area of an estimated $70+ million. If a lot of Bitcoin’s movement was “faked” or was and is falsified data, than essentially companies like Coinbase and Binance grew up in the hype with a heart of a lie. If that’s how crypto’s hype train runs, a part of me really does want no part of it. According to Bitwise, those exchanges report an aggregated $6 billion in average daily bitcoin volume. The study finds that only $273 million of that is legitimate. We’re talking a real big deception in the scale of falsehoods and hoodwinking here. So the entire game around ICOs and cryptocurrency exchanges, or at least many of them appears to have been rigged. How could such a thing work? Exchanges may have an incentive to report fake volume. Bad actors may look to attract listings for new initial coin offerings, or ICOs, who want their cryptocurrency on an exchange where more trading goes on. Since those fees can run from $1 million to $3 million per listing, according to data from Autonomous Next the crypto cycle incentives or used to incentivize fraudulent behavior. The Bitcoin greed appears to have been a sport that saw all sides getting dirty to pick up the money on the ground from the incredible hype of the crypto singularity event. If 90 percent of crypto exchange volume is fake, how do you reconcile that with trusting crypto projects as potential leaders in innovation? U.S. regulators have taken a cautious approach to making bitcoin mainstream for traders. 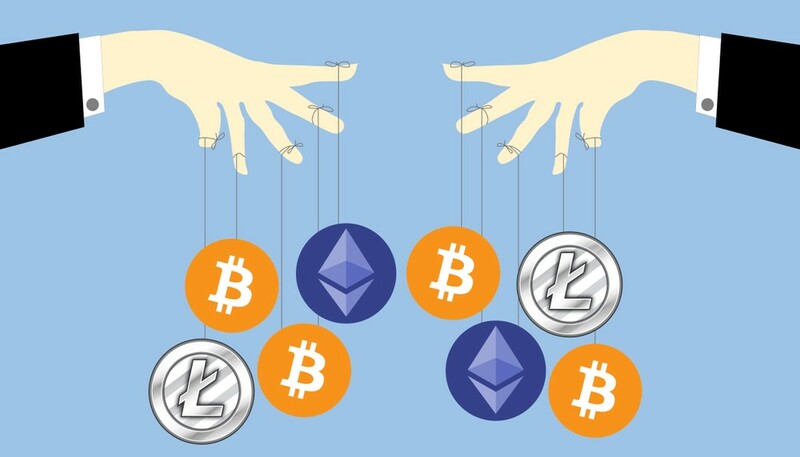 The SEC highlighted the risk of manipulation as reason for rejecting applications for other cryptocurrency ETFs. Even as mainstream adoption of blockchain is occurring, the fool’s gold movement of crypto appears to have found some semblance of being stopped in its tracks. A few people got rich with Bitcoin, a lot of people lost money on crypto. Whether you believe its gambling, a ponzi scheme or cutting edge technology is up to you, but at least the game should have rules. If you fake the data on a cryptocurrency exchange, it doesn’t just hurt the credibility of a Coinbase or a Binance, it hurts the entire industry and decentralization movement. Crypto in this light has a significant trust problem, even as companies and banks are likely to adopt internal stablecoins in walled gardens. The next era of digital assets and stablecoins is likely to put those 2,000 shiny cryptocurrencies you check on coinmarketcap, in the dust. Destiny is not kind when blockchain and not crypto wins and blockchain adoption continues in unexpected ways. 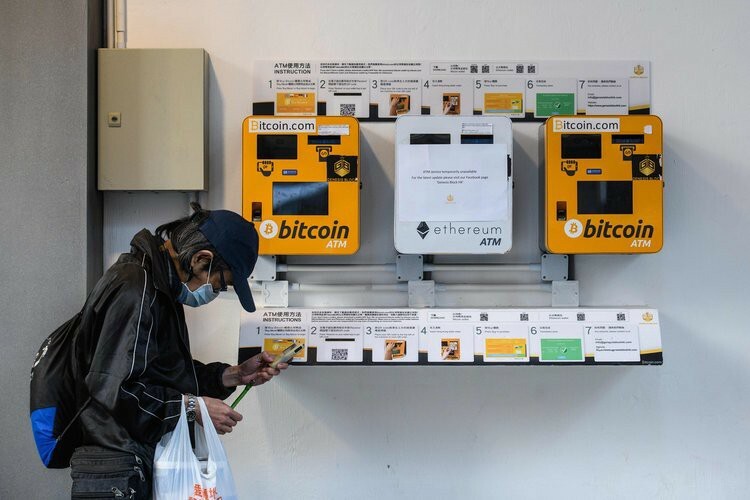 The office of New York Attorney General also flagged the issue in a recent report warning that exchanges are vulnerable. How do you even regulate a crypto industry where there are so many points where fraudulent behavior could be occurring? It’s beyond the legal capacity of most governments so they have to do odd things like ban certain practices. This is the likely sad reality of the state of affairs. Investors and users aren’t just vulnerable to deception, they are vulnerable to hacking, the cryptocurrency exchanges being hacked or the altcoin they own simply going through the inevitable code death that all digital assets must one day face. What investors expect is that trading in the commodity that underlies that ETF makes sense and is free from the risk of manipulation. If the game is rigged, how stupid would investors have to be to be “all-in”? I don’t know where you stand, but that’s what my common sense says. The trading volume for regulated bitcoin futures has seemed weak. Now we might know why that actually is. Chicago-based CME and Cboe began listing bitcoin derivatives at the end of 2017 but have had much lower volumes than the $6 billion reported by unregulated exchanges. No wonder eh, if it turns out a lot of that trading volume wasn’t real to begin with. If the real size of the bitcoin market is as small as Bitwise suggests, the CME starts to look a lot more significant and what Bakkt and Fidelity Digital Asset Services might do with a more regulated approach to digital assets might make the crypto movement look like the past. We have to come to terms somehow with the possibility that our love for crypto got us scammed and that even we gave in to the hype in spite of fair warnings. In a peer-to-peer world we put our savings and some of our disposable income where our friends were, and in retrospect for some of us, that might not have been the smartest thing. Is it possible that our beloved Bitcoin cult is based on lies? The real market for bitcoin may be significantly smaller than we ever dreamed or imagined.